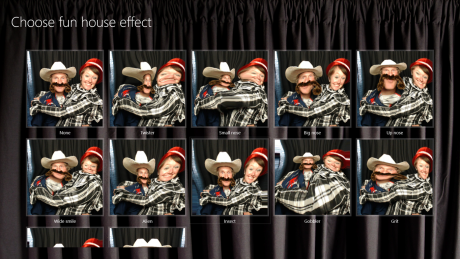 Instant Photo Booth 3 introduces Fun House Distortion effects that are sure to make your next birthday party a hilarious event! We found this feature to be our kids favorite as we were doing testing. 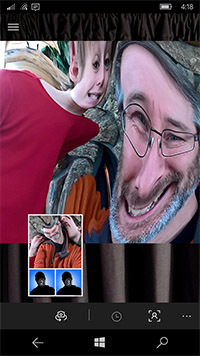 The Fun House effects are available as a $1.99 in-app purchase. However, they are free to use in handheld mode on Windows 10 Mobile.